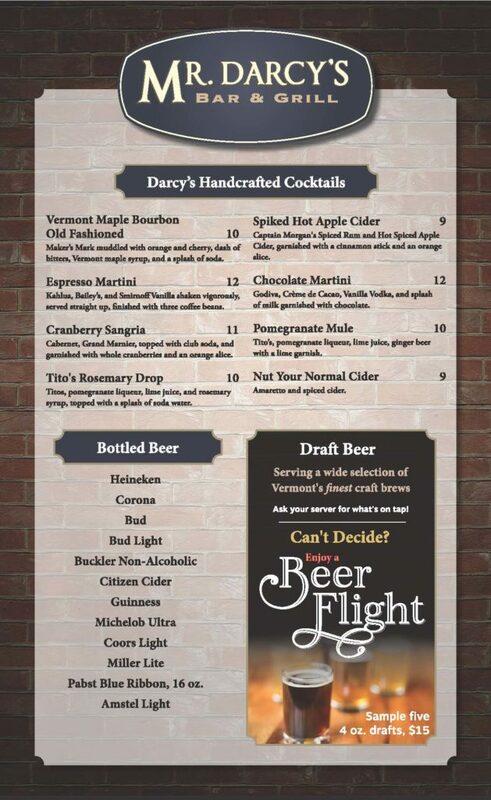 Mr. Darcy's is a restaurant where you will enjoy a casual dinner or cocktails with friends, family or business associates. 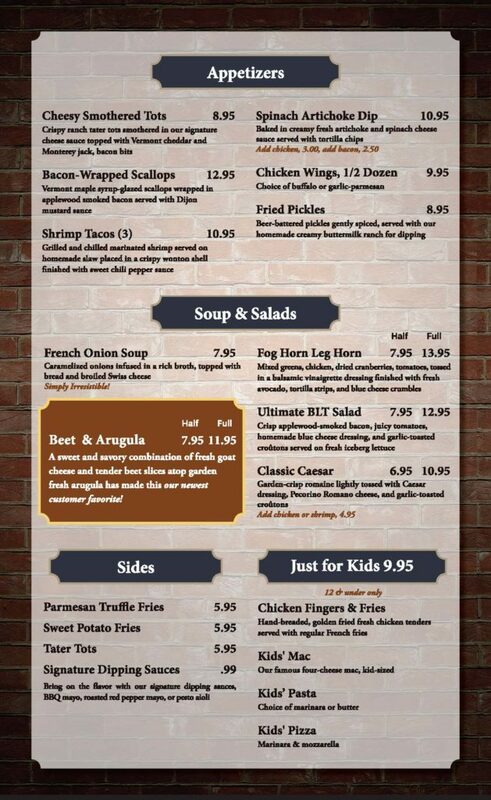 We think you'll find our menu and moderate pricing to be quite appealing. We are quite well known for our outstanding burgers and signature cocktails, so please try them now or on a future visit. 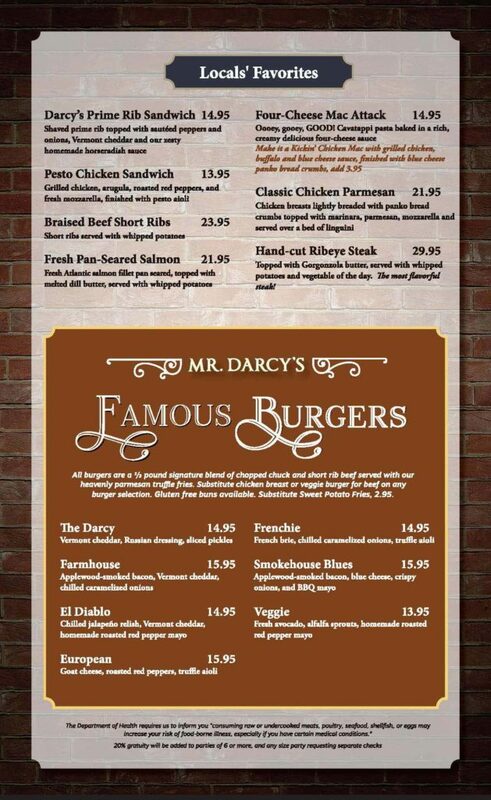 We welcome feedback on your dining experience so please share the good news with friends and let us know about any suggestions you have to make Mr. Darcy's even better. 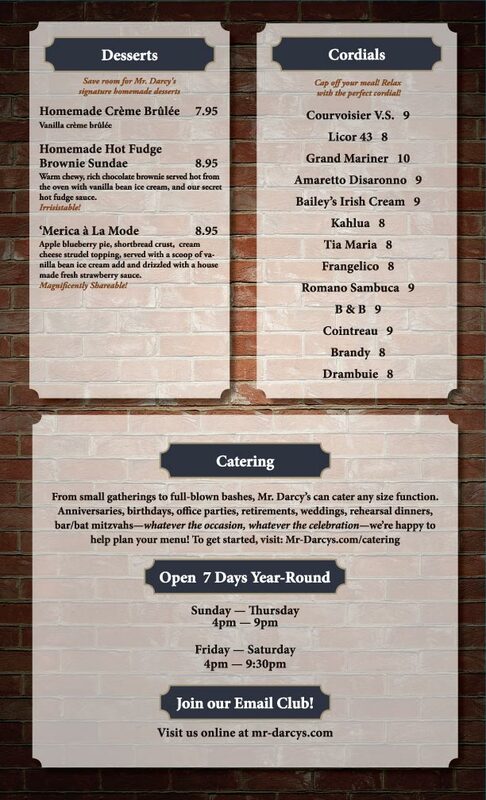 Thank you for visiting Mr. Darcy's! Mr. Darcy's is a nut-free facility.